Aquion Energy’s unique salt water batteries provide energy storage a whole new way. Instead of the traditional lead acid deep cycle batteries we are used to using for renewable energy, they use completely non toxic, non hazardous ingredients. The batteries are available in two form factors. The Aquion stack is a single 48 volt 48 amp-hour (Ah) battery. 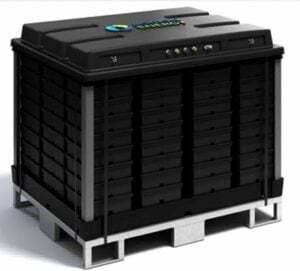 Aquion Energy’s salt water battery “stack”. The module is 12 of the stacks pre-wired together in a single form factor that is forklift ready to be placed on site. It is a large 48V 579AH battery. Aquion’s module of 12 salt water stacks provide 579 Amp-Hours at 48 Volts DC. 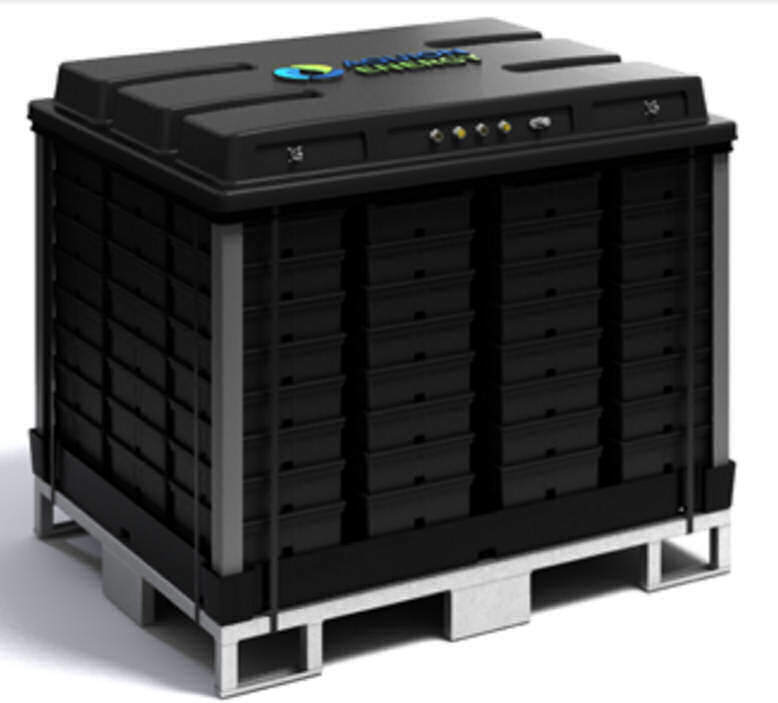 The Aquion batteries can be wired together in parallel with no limitations to the number of batteries wired together, allowing for extremely large commercial and even utility scale systems.This is very different from lead acid batteries, that have a limit of wiring about three strings in parallel, which can limit its scalability. Unlike traditional deep cycle lead acid batteries, Aquion salt water batteries have no limitations to how many can be put in parallel, as demonstrated in this illustration. 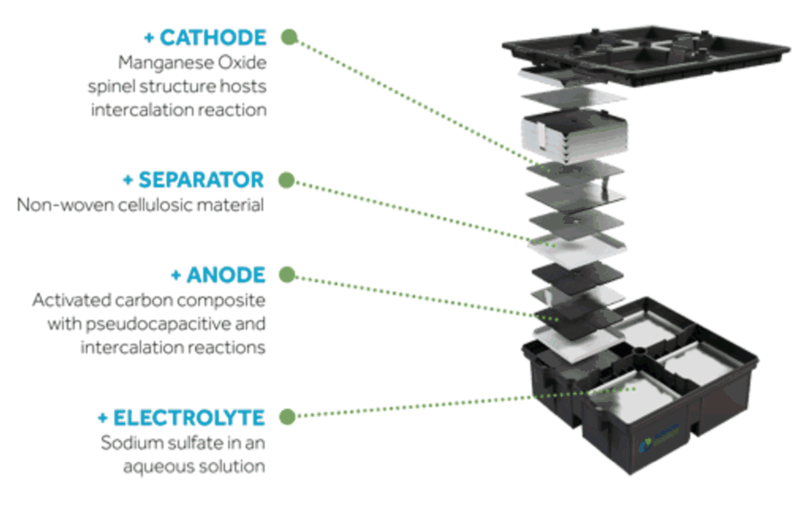 To understand what Aquion Energy has done, let’s first take a look at the components of a traditional lead acid battery and how they work. A battery is made up of multiple metal plates forming the cathode (-) and anode (+), immersed in an electrolyte solution. In a lead acid battery, the plates are made of lead (lead dioxide on the negative plates and pure lead on the positive plates) and the electrolyte is sulfuric acid diluted in water. When charging and discharging a battery, a chemical reaction occurs. When a load is put on a battery, discharging the battery, the electrolyte molecules break down into separate ions. The negative cathode reacts to the ions and releasing positive electrons. The positive anode also reacts to the ions and receives the excess of positive ions. This creates an imbalance of electrons, causing the flow of electrons from the anode to the cathode to try to restore balance. This is the flow of electricity. As a battery discharges, the anode and cathode plates become more chemically alike, the electrolyte becomes weaker , and the voltage drops. To charge the battery back up, the process is reversed. In an Aquion Energy battery, the cathode is Manganese Oxide, the separator is basically cotton, the anode is carbon, and the electrolyte is salt water. All are safe, recyclable, and abundant. The layers of an Aquion salt water battery are made up of manganese oxide, cotton and salt water. When an Aquion battery is charged, the salt ions intercalate, or are embedded, into the carbon anode, moving away from the cathode. When the battery is discharged, the salt leaves the anode and is embedded back into the Manganese Oxide cathode. 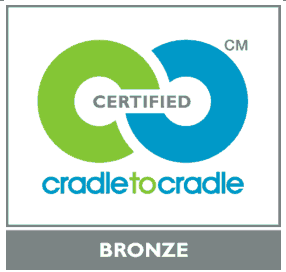 These non-toxic materials allowed the Aquion Energy batteries to achieve the first Cradle to Cradle certification for batteries, proving to be safe for the environment from creation to recycling. The battery contains no heavy metals or toxic material, and is non-flammable and non-explosive. Due to its design, the battery has different capabilities than a lead acid battery. It can be discharged all the way down to 0% depth of discharge without damaging the battery. Simply charge it back up and it will continue on same as usual. It is also perfectly fine with always being in a partial state of charge (PSOC), which means not being recharged to 100% each cycle. Lead acid batteries need to be fully charged to prevent early death by sulphating, where sulphate crystals form on the plates when they are not charged to 100%. 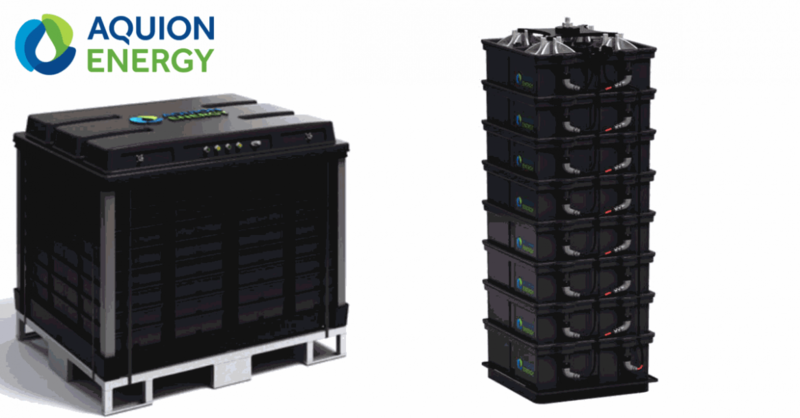 Since more of the Aquion battery capacity can be used than a lead acid battery bank, a smaller Aquion battery bank is needed for the same size solar system. Aquion batteries importantly offer more discharging cycles than lead acid batteries do for the same level of discharge. See the graphs below for the comparison. The cycle life of Aquion Batteries (right hand side) is far higher than traditional lead acid batteries (left hand side). Due to high internal resistance of the batteries, Aquion batteries do not like to be charged and discharged at a high current. As a result, the batteries’ storage capacity goes down as you charge or discharge faster. A battery that is being fully discharged in 4 hours,at a fast rate will be able to hold much less than a battery that is being discharged over 20 hours, at a slow rate. Likewise with charging. This chart shows that a battery being charged at a rate of 2 amps can store 2.6kWh (48V 54Ah), while a battery being charged at a rate of 10 amps can store 1.2kWh (48V 25Ah). The same battery becomes half its size by charging 5 times faster. Calculating the correct size for an Aquion battery bank is different than sizing a lead acid battery bank. Sizing the battery is a two step process to make sure you have enough storage capacity as well as aren’t charging or discharging too rapidly, so the sizing is done based on the amount of current you will be pulling out (discharging) and putting into (charging) the battery as well as capacity, how much energy you have to store. The following example shows how to size a battery bank based on the amount of energy you need to store AND the rate of power you need to use it. 4kWh (4000 watt-hours) storage needed from an off-grid 2000W solar power system with 3 days of autonomy (4kWh x 3 days = 12kWh storage total needed). Charging via solar during the day over 8 hours, and using the power throughout the day and night for 20 hours. Instantaneous power used at site will be as much as 4,800W, to power a well pump, refrigerator, and some power tools. Each stack should not be discharged faster than 14.1 amps, or 680 watts (14.1A x 48V = 680W). So take 4,800W draw ➗ 680W max = 6.6, and round up to determine that 7 stacks needed. Six stacks are enough to store the power, but the seventh stack is required to distribute the load and keep the power draw lower than 680W per stack. How would a lead acid battery bank look for this situation? This is over twice as big as the Aquion battery bank for the same system. 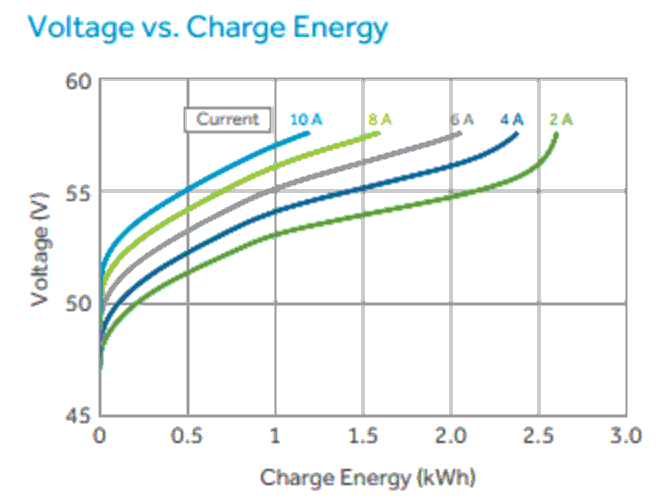 The following chart compares a system with lead acid batteries with an Aquion Energy battery bank. To compare apples to apples, we’ve used the same technique to size both battery banks. So while the price per watt hour is more for the Aquion Batteries than lead acid, because a smaller Aquion battery bank is needed, they can end up costing about the same. The big savings are when you look at the life of the system. Because you can get more cycles from the Aquion battery bank, the cost of the longer life of the Aquion is less per Wh. Also good to note – since this is a very unique, singular alternative for energy storage in the market, you can imagine, they are difficult to keep in stock – everyone wants them! 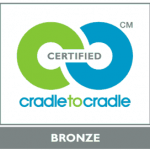 The manufacturer comes out with a new and improved upgraded version every year, that is backwards and forward compatible with older/newer versions, and we work closely with them to stay on top of their supply chain. Aquion Energy batteries are now available at altE. Call us for details. But please give us a call at the altE Store and talk to us to see if the Aquion Energy batteries are a good fit for your solar system! Step 2 right hand side should be 27786 and 14033. Missing a 2 and a 1. Step 4 Number of cycles of 6000 would imply a 50% DOD for Aquion based on first graph. At 90% DOD, as listed in step 2, graph looks about 3700 cycles. Number of cycles for Lead acid also contradicts first graph, though first graph seems wrong. Thus final cost appears off. There is no discussion at to how cost of bank is derived. What happens if an Aquion freezes? What is the freezing temperature? Thanks for catching our typos. We’ll get those fixed right away. Aquion batteries freeze at -10°C (14F). You can thaw them and they will still work, but they will not guarantee that the performance will be as good as before freezing. A simple enclosure should be enough to prevent the battery temperature to go below -5°C (23F), and therefore safe from freezing. There is no such thing as a “positive” electron. Not sure what you mean? Maybe positive ion? Thanks for catching that, we fixed it. These batteries sound great in the summertime, but in the winter when the sun isn’t shining and there isn’t another way to do a long slow charge. Right now, I run my diesel generator for 2 hours when sun doesn’t shine ( which puts in 33 amps @ 120VAC) but with the Aquion would I have to run for 4 hours? How come the charge chart only goes down to 4 hours and how much energy can these Aquion batteries store when charged for 2 hours? A C/2 charge is not recommended, so it is not included in the chart. If I had 3600 watts solar panels how many batteries I will need? In Puerto Rico it is summer all year. I was thinking I need only need one battery for night only (12hour) maybe two. Daily I used 20kwh. 3600W / 48V = 75A going into the battery bank. Your solar array probably makes about 14kWh a day (which is less than your stated 20kWH use, but I may be underestimating it, if you are already using this array and it is providing enough power. But that is another story). If you look at the table, it shows that charging for 8 hours with solar and using the power over 12 hours, you have a battery capacity of 1775Wh per stack. 14,000Wh / 1775Wh = 7.8, so 8 stacks needed to store that power. If you take the 75A that your array is generating, and divide it by 8 stacks, that’s 9.3A per stack, which is within the acceptable charge rate. So without any extra storage for days without sunshine, the minimum size battery bank would be 8 stacks. The recommended max load on the batteries is 14.1A, so 14.1A x 8 stacks x 48V = 5414W maximum load. Using your loads number of 20kWh, and assume that is used over 20 hours, the table says each stack now has a capacity of 2046Wh. 20,000kWh / 2046 per stack = 9.7, so 10 stacks needed to store 20KWh that is used throughout the day and night. The 75A that your solar array is generating divided by the 10 stacks is 7.5A, which is healthier for the batteries than the previous answer of 9.3A with 8 stacks.